A certified Minority Business Enterprise, full service print communications company located in Rochester, NY. The company was founded in 2004 as a joint venture between Panther Graphics and Flower City Printing to assist our clients in meeting diversity spending goals, while providing both parent companies national business opportunities that may not be available as separate companies. The combined assets provide a wide variety of printed products and related services to Fortune 500 companies that demand quality, speed to market, and competitive pricing. 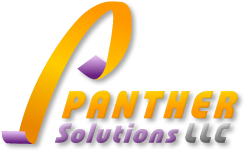 The Panther Solutions Total Print Management Solution can be customized to many organizations and delivers substantial cost reductions by driving costs from the process as well as the products.